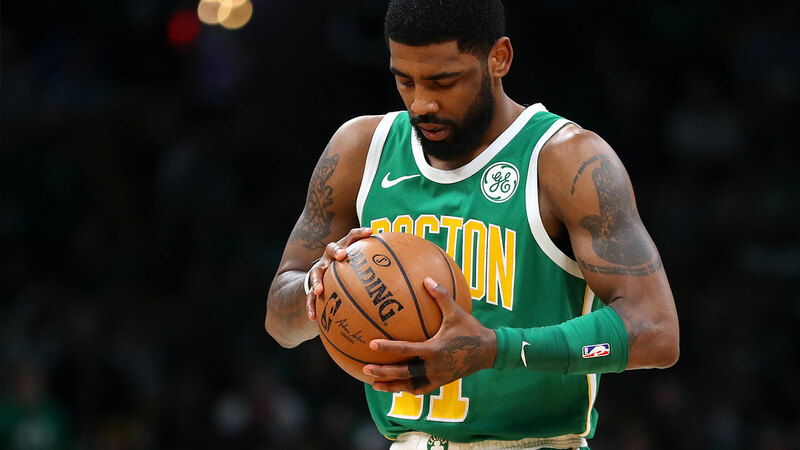 "Ok, so you can make excuses - the first loss in Boston was the opening night of the season, and the loss on Christmas Day went to overtime - but the Celtics were without Kyrie in February's win at the Wells Fargo Center and still ground out the road win. That made it 7-1 in the last eight games including last season's playoff match-up between the two teams. That shows a strong edge for the Celts whatever way you slice it." It looks like the Sixers will sew up the third seed in the East, which means they'll avoid their old rivals from New England until at least the second round of the playoffs. There's no avoiding them tonight though, and the Philly might have reason to which they could, with Boston having won all three meetings so far this season between the storied franchises. 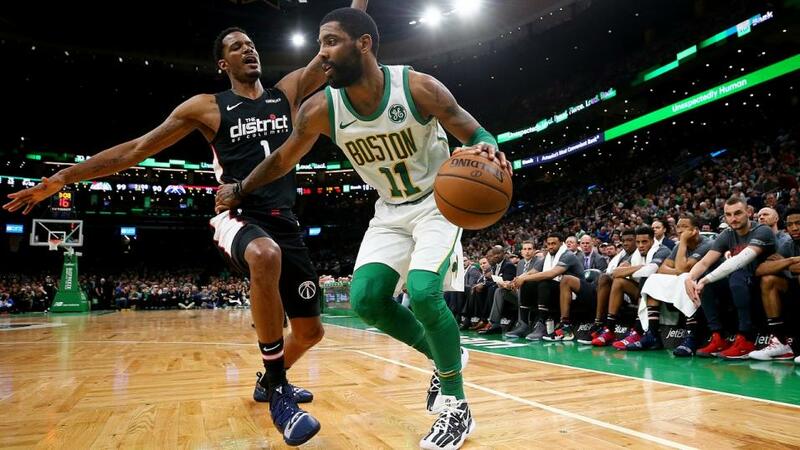 Ok, so you can make excuses - the first loss in Boston was the opening night of the season, and the loss on Christmas Day went to overtime - but the Celtics were without Kyrie Irving in February's win at the Wells Fargo Center and still ground out the road win. That made it 7-1 in the last eight games including last season's playoff match-up between the two teams. That shows a strong edge for the Celts whatever way you slice it. One source of encouragement if you're inclined to the Sixers is that they've got everyone healthy and should line out with their strongest front in this one. They've also had a chance to develop chemistry between the Embiid, Simmons, Butler, Harris line-up, and the Celtics generally look a shaky group at the moment. There's some talk that their recent Western road-trip gave them the chance to clear the air after Irving's recent selfish posturing, but their last two performances - a win over the Hawks they could've dropped and a on their own court to the Nuggets - coast some doubt on how smoothly things will go for the rest of the season. Still, the record coach Brad Stevens has built against Philadelphia in the last year is tough to overlook. The Celtics are also 7-1 on the spread in that run. That form trumps the 0-4 record they have on that score in their last four games. Throw in the fact that Philly are travelling back from Charlotte last night and have gone 3-8 against the spread in the second leg of back-to-back games this season, and that means the Celtics +3 has to be the pick at 10/11. At the end of February, the Knicks, somehow, put three wins in four games together, breaking their desperate streak of 18 consecutive losses in the process. Maybe a season of tumult and turgid play could end with a glimpse of a brighter future, right? They're 1-9 in the last ten and owner James Dolan continues to embarrass himself and the team. When he's not banning fans from Madison Square Garden - or his band's gigs - he's talking conspiracy theories about how the league is out to get him. The only consolation for Knickerbocker fans is that the Giants seem intent on matching their dysfunction in the NFL with their recent moves, and that's taken some of the heat off. On the court, the Knicks have covered just three times in the last ten but look at the teams they're showing up against: the Lakers, Kings and the Oladipo-less Pacers. Indiana are set for a decent seeding, but their form is not what it was, and they look like first-round upset-fodder. The Jazz, meanwhile, are peaking. They kicked off this road trip with a 21-point win over the Wizards. It was their fourth straight win and each of those came by a margin of at least 17 points. They shut down Bradley Beal in the Washington win too, showing that their defensive powers are returning just in time to cause trouble in the playoffs. They're half a game out of the fifth seed, and Portland in fourth will be very happy if they don't end up playing the Jazz in the first round of the playoffs given their recent form. Tonight, they should have far too much for a Knicks team with nothing to play for. Utah can cover the double-digit spread against a very bad team at 10/11. With the top eight teams in the West clear already, it's the East's final few playoff spots that provide the most intrigue beyond seeding in the closing weeks. Miami are a major player in it all. They're the holders of the eighth spot right now. Orlando and Charlotte are just behind, and even Washington still have a chance of making noise if they hit a hot streak. The Heat should be good enough to hold off those three, though how much trouble they can make for Milwaukee remains to be seen. The Spurs could give an indication. They're going for a tenth win in a row, another streak in a season full of ups and downs for Gregg Popovich's team. the run has seen them cement their playoff place. The run includes wins over the Bucks, Nuggets, Blazers and Warriors and has been built on a return to the Spurs' identity of old - strangling defence. Golden State, the most efficient offensive power in the league, were limited to 105 point in their last game. Only Milwaukee with 114 points have scored more than the Warriors total in the nine-game run. Only Denver beat San Antonio on the spread in this run. Miami won't be an easy ask for them to continue this run. As an away underdog, they're covering almost 70% of the time. San Antonio, however, are almost as strong as a home team, and their recent surge in defensive effort makes them appeal against a Heat team that lacks offensive bite. The Spurs -6.5 appeals at 10/11.